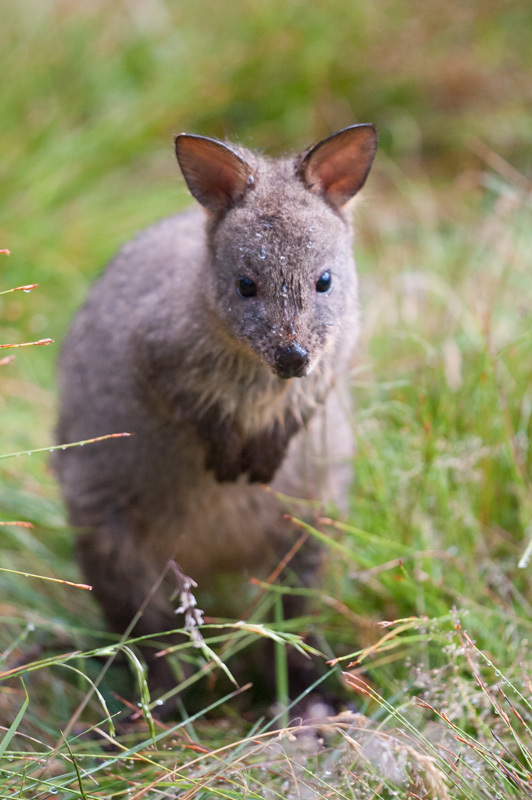 Join us for 3 nights on the Freycinet Coast; 3 nights at Cradle Mountain and 3 nights in the Tarkine Rainforest. 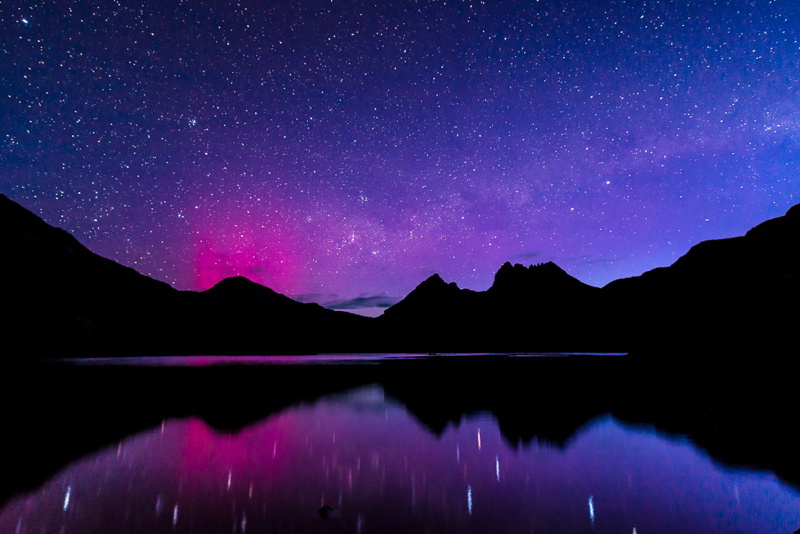 In addition we will also visit Mt Field National Park, and traverse the Tasmanian Wilderness World Heritage Area stopping at Nelson Falls and Lake St Clair – a complete lap of Tasmania in 10 days. Depart Hobart 9:00am on Monday May 22nd, 2017. Return to Hobart around 6:00pm Wednesday May 31st, 2017. Hobart hotel pick ups and drop offs included. Participants will need to arrive in Hobart the day before and stay one night after the workshop. We can make this arrangement for you, please discuss when booking. 12 seater bus. 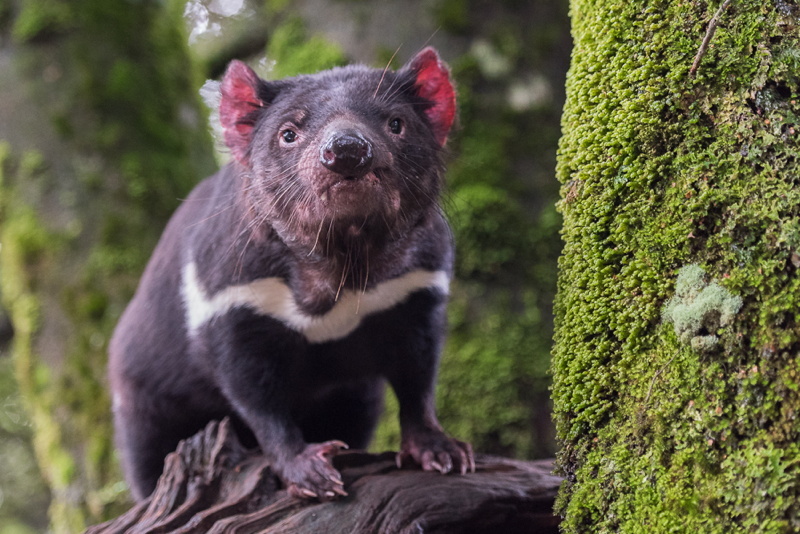 All transport within Tasmania is included, starting and finishing at your hotel in Hobart. There is no “minimum level” required regarding photographic ability. Beginners and highly experienced shooters alike are all very welcome to join us. 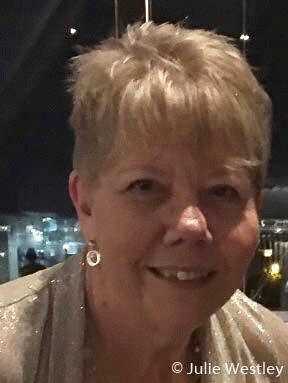 With 2 professional and experienced tutors, you will receive plenty of individual one-on-one time that will be geared towards your own personal skill levels and needs. This workshop is capped at 10 participants, giving you maximum tuition time with Michael and Luke. 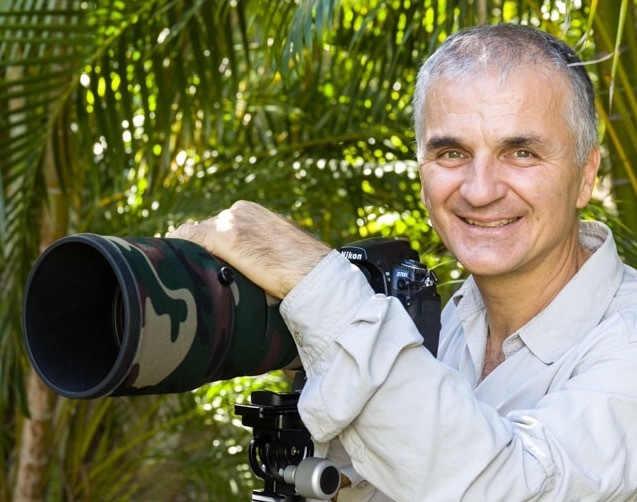 Michael has been running photography workshops together since 2002, specialising in multi day trips for small groups. 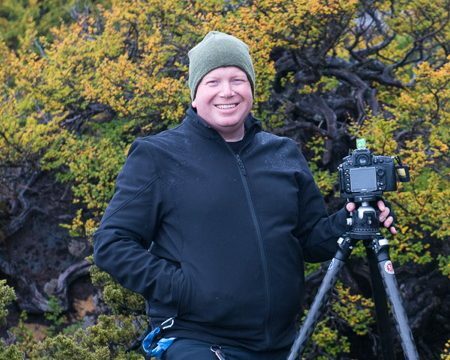 Michael is honoured to be an Australian Ambassador for Lowepro, Lenscoat as well as The Nature Conservancy Australia’s Photo Competition. 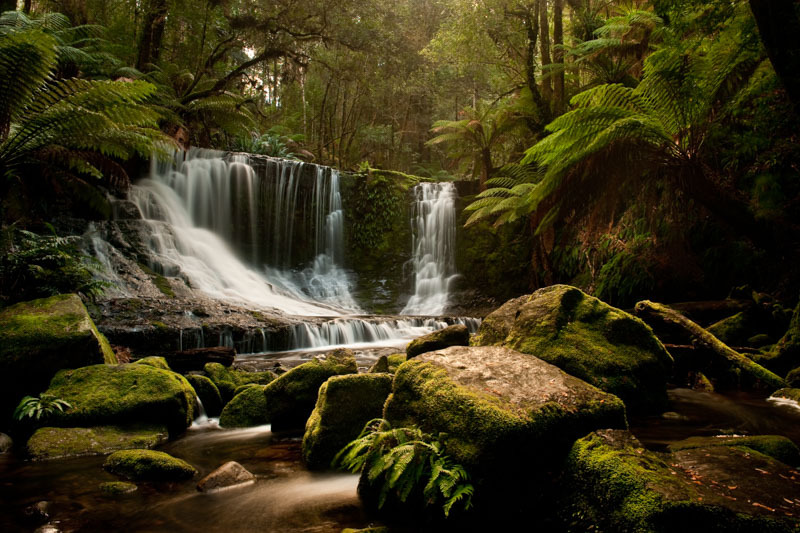 Our first photo shoot is the lush rainforest at Mt Field National Park, including the stunning Russell Falls and Horseshoe Falls. 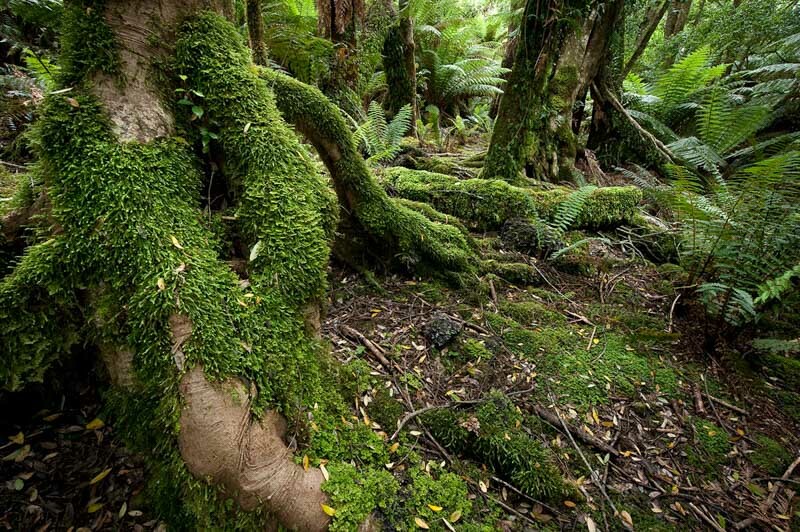 The setting is sublime, as we walk beside a fast flowing creek beneath giant tree ferns, rainforest and mighty eucalypts. After lunch we depart for the east coast town of Bicheno and prepare for our days ahead on this beautiful stretch of coast. 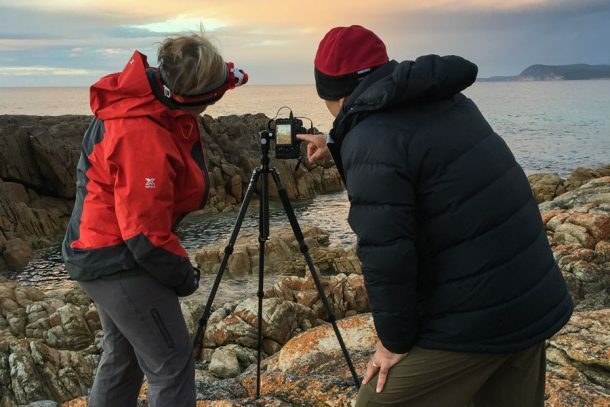 Sunrise shoot at the Blowhole in Bicheno. 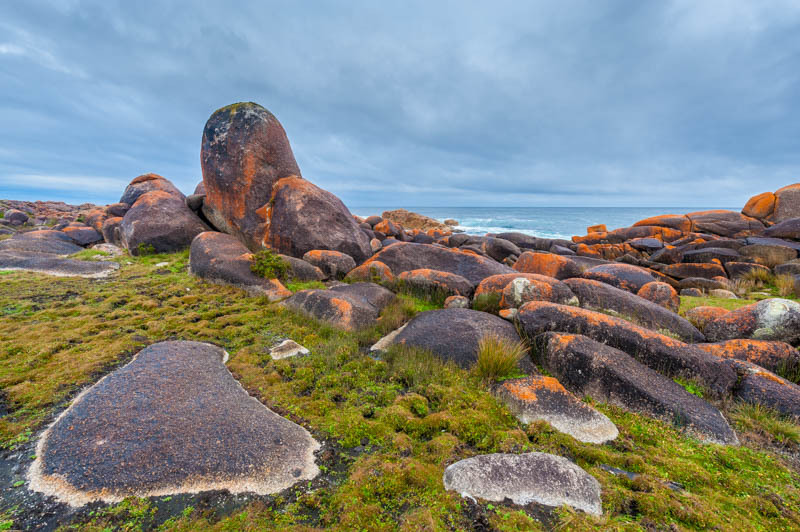 Great vantage point on Tasmania’s east coast to capture the sun rise over a dramatic granite foreshore. 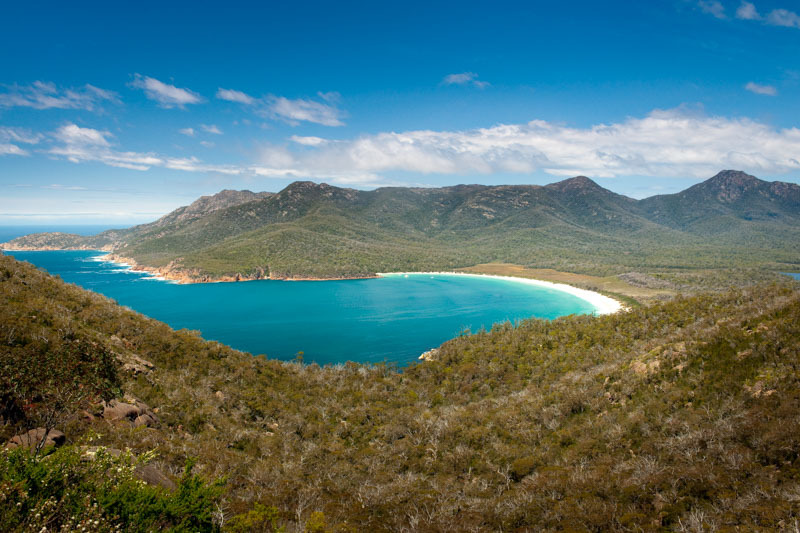 We will then spend the day exploring Freycinet National Park including walks to the Wineglass Bay lookout (for those who are up for it!) 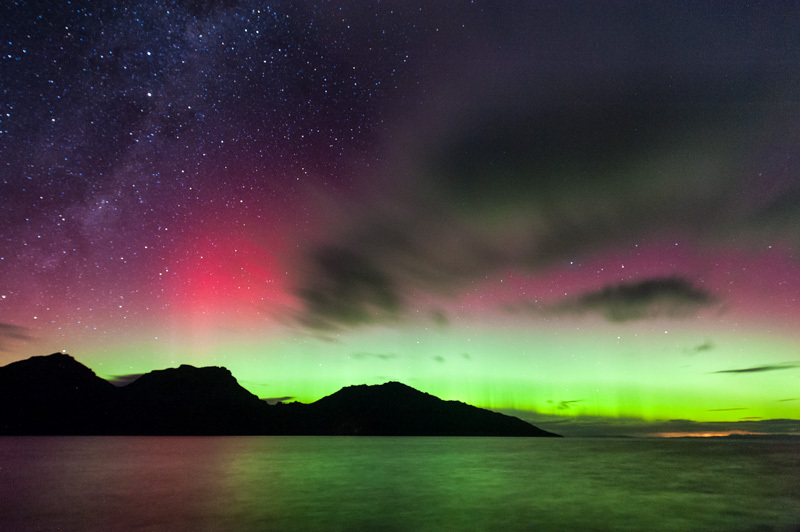 as well as secluded rocky bays such as Sleepy Bay and Honeymoon Bay. We will finish the day with a sunset shoot in Coles Bay as the rugged “Hazards” (mountains) light up in the last light of the day. Sunrise this morning is at the Friendly Beaches. A beautiful spot, with sandy beaches and rocky headlands. There are all sorts of opportunities for great compositions as the sun pops up. After breakfast, todays main activity is a half day cruise to Wineglass Bay, looking out for seals and dolphins all the while. We will finish the day with another sunset shoot. 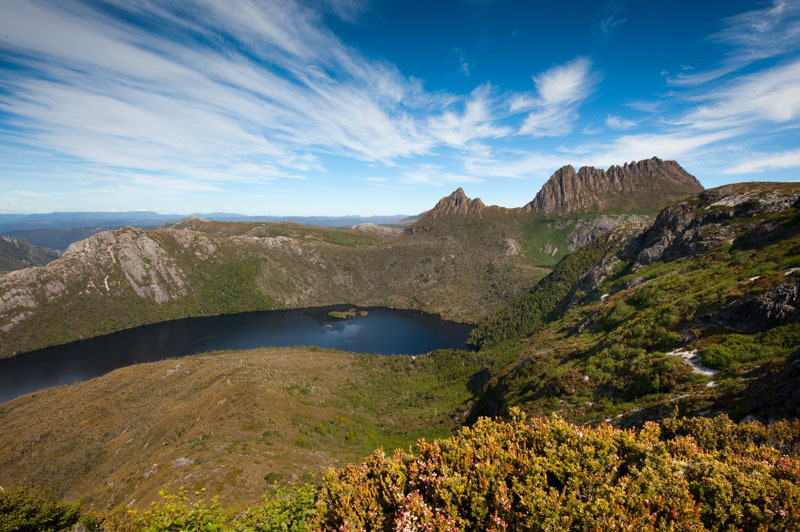 Today we head to Cradle Mountain – that iconic heart of Tasmania’s World Heritage listed wilderness. We will arrive after lunch and have a late afternoon/sunset session at Dove Lake. This evening after dinner Michael and I will do some audio-visual presentations, including a post processing session on how to add some sparkle to all these new images you are capturing! 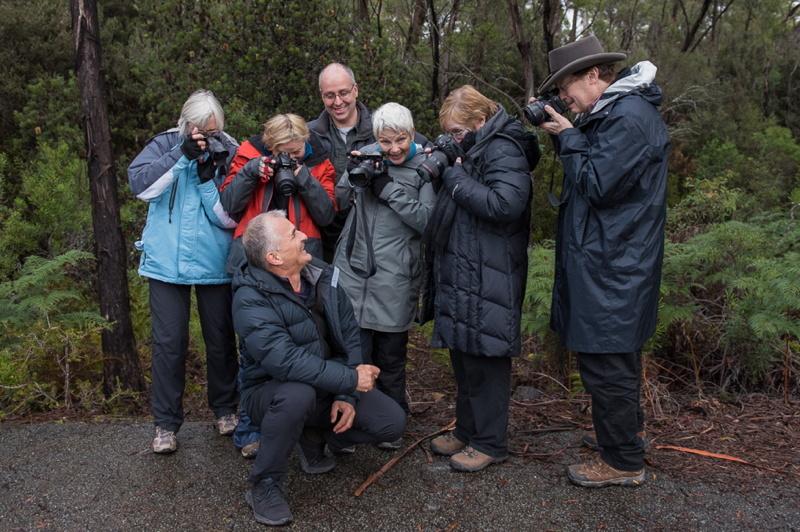 Now we have two nice full days shooting at Cradle Mountain ahead of us. 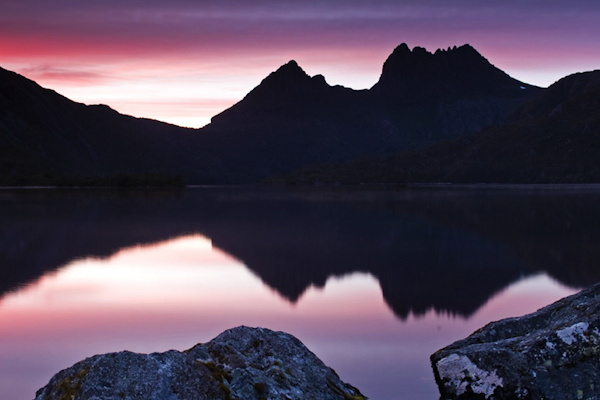 Today we will shoot sunrise and sunset at Dove Lake, as well as exploring the ancient alpine rainforest of the region. We will visit Waldheim, a rustic hut nestled deep in the forest, as well as waterfalls and autumn fungi in the rainforest. 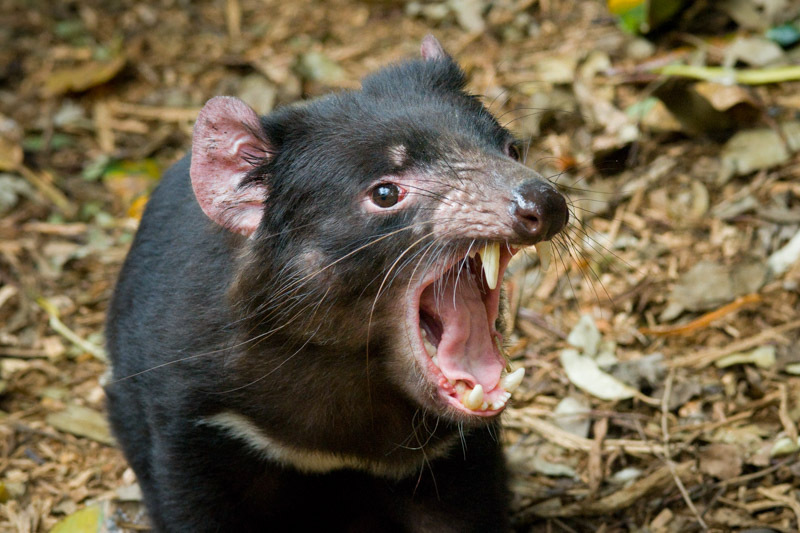 We will also visit a Tasmanian Devil Park for a chance to photograph this iconic Tasmanian critter. Another full day, including sunrise and sunset, as well as further exploration of the mountain tracks and trails. We will also pay a visit to the Wilderness Gallery at the hotel, which is a wonderful source of inspiration. Farewelling Cradle Mountain we head to the majestic cool temperate rainforest of Tasmania’s Tarkine region. We will spend the morning exploring some truly beautiful rainforest at Philosopher Falls. 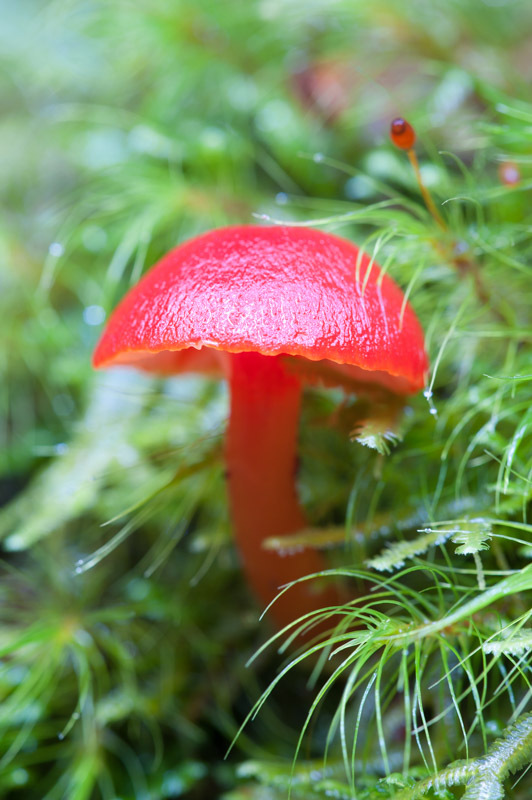 As well as the falls themselves, this time of year is great for photographing fungi and this walk is brilliant for anyone interested in fungi. After lunch we will enjoy some beautiful mountain scenery as we head to Corinna, our base for the next 3 nights. A full day in the rainforest today. 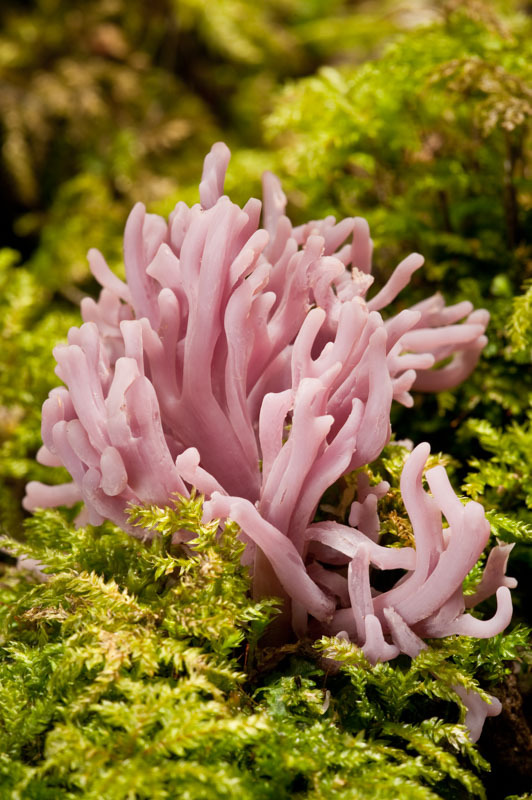 We will completely immerse ourselves in the deep rainforest around Corinna, capturing the grand old myrtle beech trees and the tiny autumn fungi. We will shoot waterfalls and finish with a sunset at a lookout over Mt Donaldson from the buttongrass plains. Today we embark upon our second cruise of the trip – this time on the majestic tannin stained and mist shrouded waters of the Pieman and Donaldson Rivers. 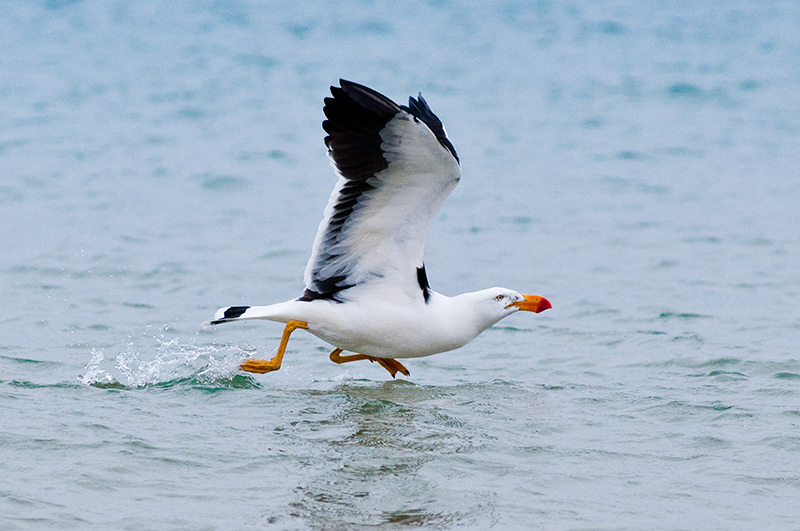 We will photograph Lovers Falls and perhaps a Sea Eagle or Wedge Tailed Eagle soaring above. Tonights sunset session will be very special, on the west coast of Tasmania near Granville Harbour, where the “Roaring 40′s” smash the coastline and create incredible rock formations. Our last day, but another full day of activities! We will return to Hobart via Queenstown and Lake St Clair, stopping at Nelson Falls, the Franklin River and Lake St Clair on the way. 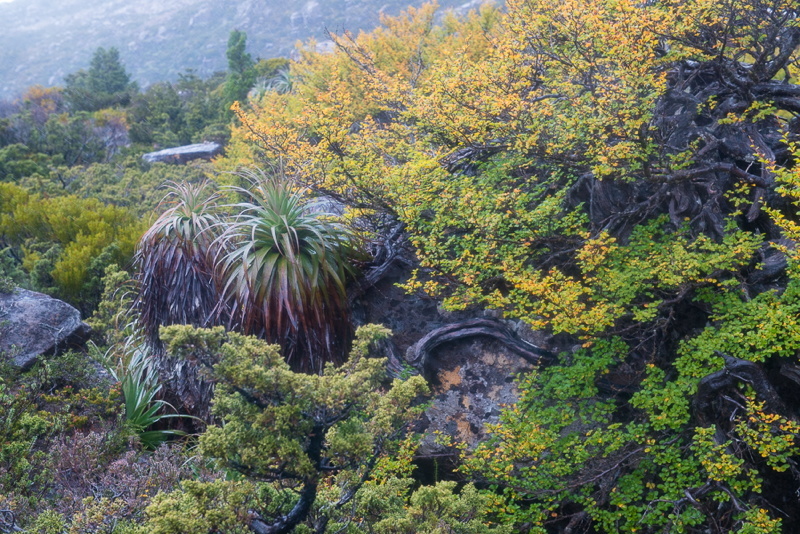 Nelson Falls is an easy but very rewarding walk and Lake St Clair is Australia’s deepest lake. We will arrive in Hobart around 18:00 and a hotel drop off is included. Your position in the Workshop will be guaranteed immediately upon receipt of your signed booking form and deposit, which is (AUD) $500.00. You may elect to pay the full amount, or another amount as a deposit (minimum $500). Payment by Direct Deposit is the preferred method, and payment by Credit Card will incur a 1% charge. The balance is required 45 days before the Workshop commences. Your payment of the deposit will be considered your complete acceptance and understanding of the Terms & Conditions.